The was a great premise for a thriller and the author did an excellent job building suspense and surprising me. 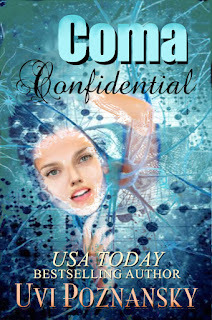 "Coma Confidential (Ash Suspense Thrillers with a Dash of Romance Book 1)" by Uvi Poznansky, is a fast and thrilling read that I just couldn't put down. Five stars.